Only one in four High School students in New York City are actually ready for college. For us, working with the City University of New York is a “full circle” since we both barely survived a New York City education. Working on multiple CUNY programs that directly helped the community we grew up with feels great. Our first project was an academic, personal and financial support program for High School students called Accelerated Study In Associate Programs. Students benefited with mentorship, tutoring, tuition waivers, free textbooks and even Metrocards. 7ONE8 spearheaded the brand awareness campaign by creating the identity, art directing and designing print material and social media strategy. We trained the CUNY ASAP team on utilizing online marketing tools like Constant Contact and Hootsuite. Monthly social media campaigns were developed, designed and run by us with a “Social Media Cycle” training manual outlining procedures and protocol for CUNY Central to follow. 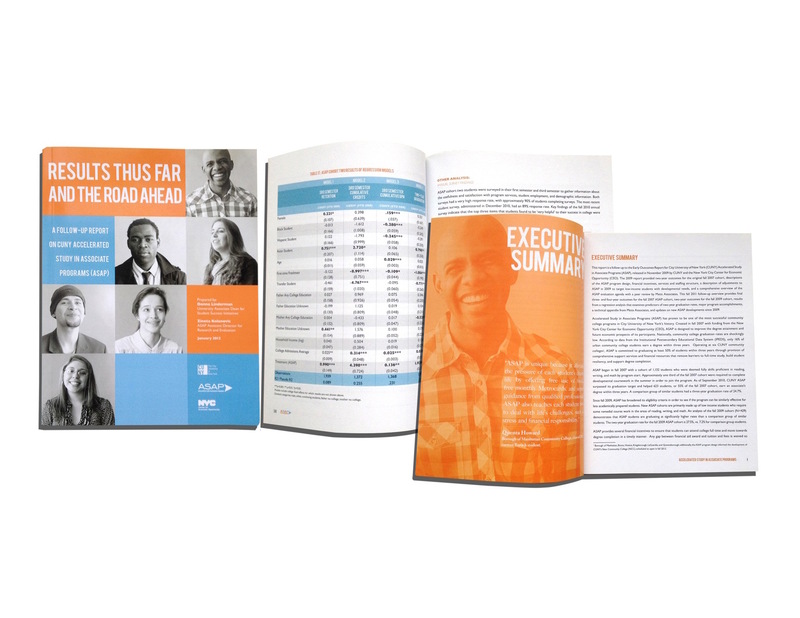 If that wasn’t enough long nights, we additionally designed and print managed the ASAP’s main Teacher/Student Curriculum Binder/Workbooks as well as ASAPS Annual Report. All this round the clock work opened up the floodgates with additional CUNY and DOE programs for branding from logo design to merchandise, HR communication optimization. Each program addressed the needs of our current NYC youth making the design appeal integral to attracting students and funding. 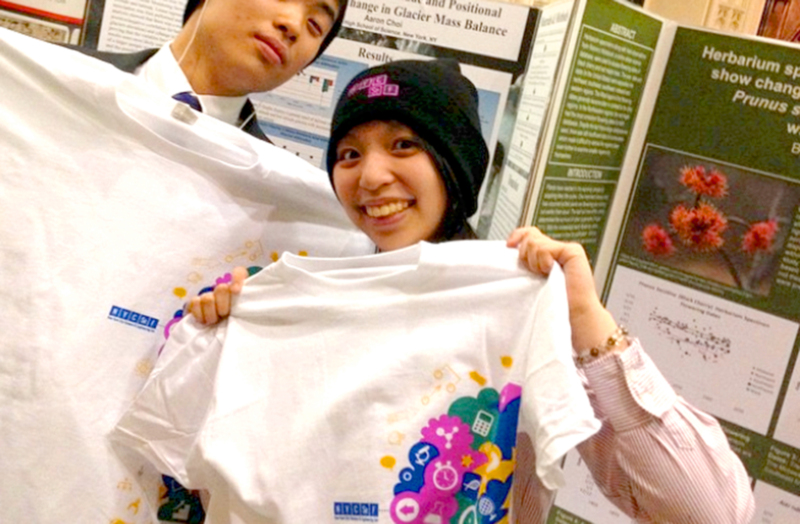 We worked with The New York City Science & Engineering Fair, the largest high school research competition. The target demo for the redesign of the logo, website UI, poster, postcards, booklets, and swag for junior and seniors in the NYC High School system as well as potential judges. For COPE Graduation Success Initiative – an academic and personal support program designed to help motivate students who are on public assistance to graduate CUNY within one year – we design the branding consisting of a logo, postcard, poster and trifold. I even managed to use my husband and son when I designed the brand identity for CUNY Fatherhood Academy, a free 4 month, 3 days a week program for fathers between the ages of 18-24. 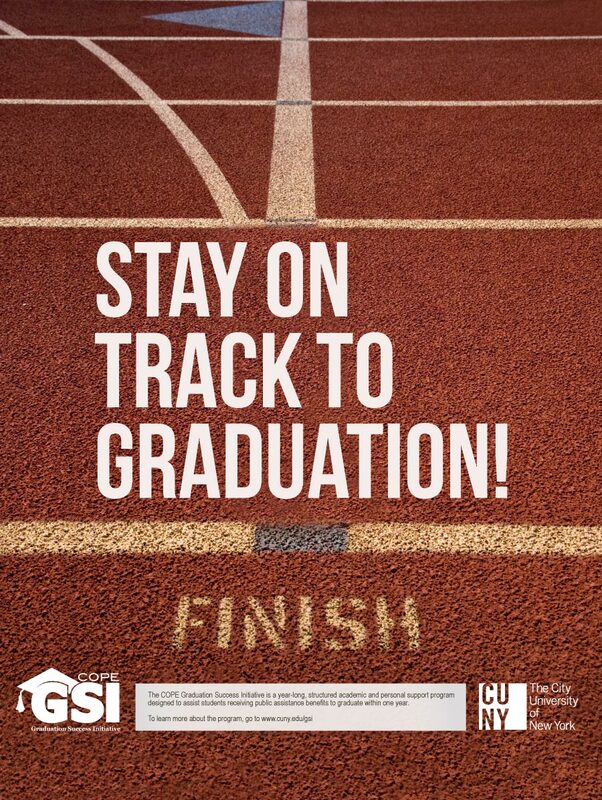 The program offers help with earning a GED, prepare for college, get work experience, explore careers and more.